Win a luxury spa day & hair styling/ treatment! The countdown begins for one of the most highly anticipated releases of the year. 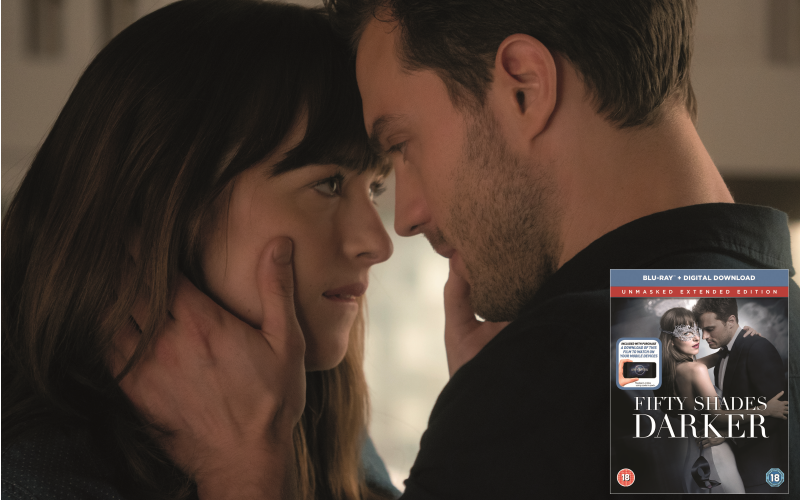 Universal Pictures Home Entertainment presents Fifty Shades Darker Unmasked Extended Edition, available now on Digital, Blu-ray™ and DVD. The Fifty Shades Darker Unmasked Extended Edition features a steamy new version of the film with over 13 minutes of footage not seen in cinemas! When a wounded Christian Grey tries to entice a cautious Anastasia Steele back into his life, she demands a new arrangement before she will give him another chance. As the two begin to build trust and find stability, shadowy figures from Christian’s past start to circle the couple. However, you don’t need your own Christian Grey when we’re offering one lucky winner the chance to be pampered à la Anastasia Steele in the film. Experience a luxury spa day with hair treatment and/or styling for yourself and feel like a million pounds.